In the week when the world watched Jim Acosta be attacked by the American president, Muhammad Idrees Ahmad looks at the the threat to journalism – and democracy – all over the world. 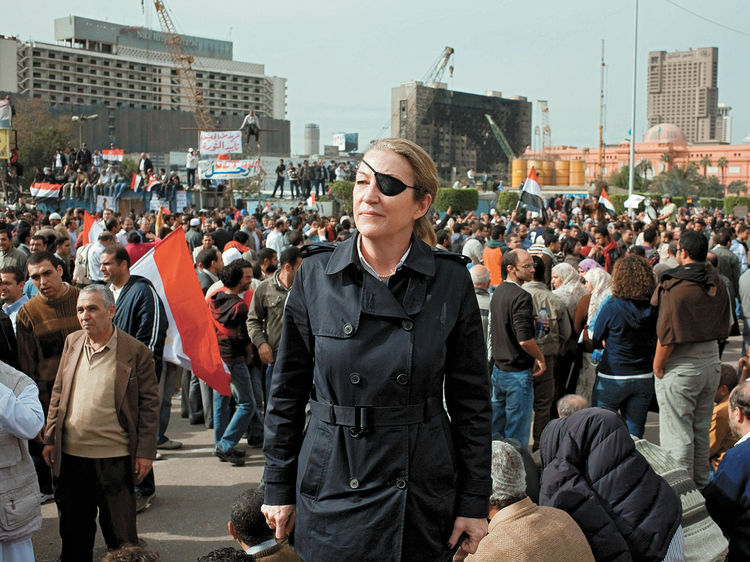 It was rare for Marie Colvin to be daunted by danger. During Lebanon’s “war of the camps”, she once ran a gauntlet of sniper fire to get into the Burj al Barajneh refugee camp. Her reporting on the Palestinians trapped inside helped end the brutal siege. In East Timor in 1999, she witnessed almost the entire UN staff and 22 of her fellow journalists evacuate a besieged UN compound but refused to abandon the 1,500 women and children huddling inside, facing certain death. Her reporting spurred international action and the civilians were finally given safe passage. On her final assignment in Syria, Marie crawled through nearly three miles of a drainage pipe to get to the besieged enclave of Baba Amr where she knew regime soldiers had orders to execute her. She understood the danger and kept reporting until the regime used her satellite signal to target and kill her. But there was moment that gave even the fearless Marie Colvin pause. In 2002, during the Israeli assault on Jenin, a group of women and children had begged Colvin to accompany them back to their homes. They hoped that the presence of a westerner would restrain the Israelis. But the Israeli gunfire was too indiscriminate and having lost an eye to trigger-happy soldiers in Sri Lanka, Colvin’s confidence had suffered. She demurred. Her fixer, Imad Abu Zahra, accompanied the women and children instead. Two months later, Abu Zahra was killed by an Israeli APC at close range while taking photos in a Jenin street. Last month, when the Saudi journalist Jamal Khashoggi was killed at the Saudi embassy in Istanbul, the cynics were quick with whataboutery. Based on their political predilections, they cited situations where more were being killed, most notably in Yemen. And, indeed, the Saudi actions in Yemen are criminal and starving millions with an imposed famine is an outrage. But this is not a zero-sum game: Khashoggi wasn’t stealing from Yemen’s coverage. If there was more attention being paid to Khashoggi, it is because in wars—even just wars, which this one certainly isn’t—people are expected to act criminally; but no one expects to visit an embassy and be beheaded with a chainsaw. The unusual coverage of Khashoggi’s killing reflects its unusual circumstances. And anyone who begrudges the attention is demonstrating a deficit of humanity, not a surplus of concern for Yemenis. That a journalist’s killing has sparked international outrage is something to be welcomed. In the west we have become complacent about the protections journalists enjoy. Journalists can report on the crimes and misdeeds of presidents without expecting a bullet in the back (even the vindictive Richard Nixon was constrained by laws and institutions). Indeed, journalists are rewarded for standing up to power (or even appearing to do so). Bob Woodward & Carl Bernstein are rightly celebrated as heroes; Glenn Greenwald won a Pulitzer, an Oscar, and a half million dollar salary for reporting on the NSA leaks. But in Russia, Anna Politkovskaya and Natalya Estemirova were received with bullets in their head; Kashoggi had his neck sawed off in Istanbul; and Raqqa is Being Slaughtered Slowly (RBSS) members had their families executed by ISIS on camera. But the privileges we enjoy through the sacrifices of others can slip if we take them for granted or fail to defend them. This is a dangerous time to be a journalist. From Russia, Bulgaria, Malta, Pakistan, Turkey, Syria, Ukraine, Bangladesh to Myanmar, journalists are facing grave threats. Stakes for journalists in the rest of the world are higher than they are for us. We enjoy institutional protections that they don’t. For us, an investigation into power and corruption is an analytical and logistical challenge; for them it is also a mortal one. Out there every investigative journalist is a hero, while here we are spared heroic choices. It is only when our journalists venture into a world where these protections don’t apply that they face mortal dilemmas. Marie Colvin, James Foley, Tim Hetherington and Anthony Shadid made the heroic choice to report without the protection and constraints of a regime minder and they paid with their lives. Had there only been international outrage over their killing as strong as over the killing of Kashoggi, Jamal would perhaps still be with us. But if Putin, or Assad, or the IDF can target journalists with impunity, the Saudis had no reason to be deterred. If we are going to end this impunity, we’ll need to start by ensuring that Jamal’s killers don’t escape accountability. A year after the assassination of Anna Politkovskaya, at an event at the Frontline Club, Marie Colvin had told the gathering not to get bogged down in abstract digressions. The critical question she said was “Who killed Anna?” This is what journalism can and should help investigate. “Who killed Anna?” Because a public case creates the possibility of accountability. To establish truth is to create the condition for justice. Even if we can’t bring the killers immediately to justice, let them live their lives haunted by the prospect of future prosecution. We owe this to Jamal, whose killers are trying to rehabilitate themselves with the help of western patrons; we owe this to Marie, whose family is waging a valiant legal battle against the normalisation of her killers. But above all we need to protect the laws and institutions which would have protected Anna, Marie and Jamal had they been universal. We need to treat a threat to journalists anywhere as a threat to journalists everywhere. Willie McRae apparently had something to say but died in mysterious circumstances which some think was state murder. Julian Assange released documents through Wikileaks and is now impridoned in an embassy in London as the UK police play the waiting game. Dr David Kelly apparently had something to say and like Willie McRae he died in mysterious circumstances. So let’s all take a Princess Dianna moment before we think we have free expression in this country. And yes, as was admitted on the Andrew Marr show today, the military wait in the wings for Brexit. Pat Finucaine an NI lawyer could tell you about that. At the time Willie McRae met his death, there’s every reason to believe the official security services of the UK had been sidelined by people with a very high level of influence thus the necessary carte blanche to promote their very own, low-level war against perceived dissidents. Don’t hold-your-breath waiting for the media to enlighten us on the matter. If Jamal Khashoggi had been murdered in the Saudi Embassy in London we might have had a different reaction. Or would we ? I wonder . I’m sorry. I’m sure there are still a handful of decent journalists around but, please, don’t insult us by painting them all as heroes, desperate to get the truth out. We know too well how untrustworthy most are and what enormous lies they tell so, please, don’t put Marie Colvin in with them! She deserves better. Jo, never a truer word said. Also, as you say, Marie was a very special person. once upon a time, (in the good old days!) journalists reporting from abroad for the British media were staffers,…covered by good insurance, lavish expenses, influential editors, with the Foreign Office wallahs in the background to come to their rescue. those days are long gone. most overseas stories are now filed by dubious agencies, or by freelancers perhaps on some sort of retainer if they are lucky. which explains why so many of these “foreign correspondents” have just come down from Oxford/Cambridge and are part financed by rich family connections.. So parents forget the glamour of the so called media …..try to persuade your boy to get a job as a football player instead. Taping a handwritten ‘press’ sign to a car has become far less helpful in recent years, we are all the poorer for that development. As someone who has been a partner to a journalist very much like Marie Colin, I profoundly disagree that these journalists are infinitesimal in number because all other journalists are in ‘the pocket ‘ of some ‘establishment ‘ organ. People burn out from time on the road, they start families, they suffer PTSD….they become frustrated that their editors and those higher up fail to grasp the importance of the coverage and/or decide the expense and lower ratings cut into their bottom line. As a rule, journalists are not supposed to be part of the story- the point is emphatically underscored by the murder of Marie Colin. Shame and contempt upon those who continue to propagate the lies of the Syrian state and dare to style themselves as human beings let alone journalists. Sorry Daniel but the fact is our media is now a mess and the chances of getting accurate reporting these days are slim indeed. I believe there are some decent journalists in the world. I do also believe that the media in the UK isn’t overseen by or founded in the principle of truth. It’s very much owned, literally, by people with a particular message and the sections of the media they own will hammer that message out repeatedly, whether it’s true or not. I read too many journalists now who are more than happy to put out what’s required. That is a fact. They’re not burned out. They’ve never dug hard enough for truth to even break sweat never mind get burned out! Politicians are a tricky type to deal with. That’s why so much is expected of journalism and journalists. Their job is to hold people to account, to report accurately. Yet increasingly we see most of them simply following a particular narrative, presenting it as fact and ignoring any evidence to the contrary. That isn’t journalism, it’s the circulation of propaganda. And that’s why, for many people, journalists are increasingly seen as being in cahoots with those who have no interest in the truth and it’s why they are no longer trusted. They are the Enemies of the People would you say Jo? No, Mike, I would not. And you’re picking up some bad habits from the MSM by twisting, out of all recognition, what was actually said. My own surprise is that you would view calls for honesty and integrity in journalism as controversial. I don’t view calls for honesty and integrity in journalism as controversial. Some people working as journalists are definitely enemies of the people, others are friends of the people. Discrimination is necessary. Rather odd that this article fails to mention the persecution of Julian Assange. Or is it only journalists critical of Putin, Assad etc that are allowed on the hero list. Yes, Peter, Assange is very much out of favour now as you say. Perhaps the best (or worst!) example of how the media can be turned and brought under control must surely be the Guardian. It now follows the “party” line on just about everything. re the acid detected in Jo`s input…I presume the only acceptable publication, edited by Jo, would be aimed at a readership of one! With a staff of one! And you talk about acidic posts? I find that Jo is far and away one of the most reasonable voices on here. Particularly striking is her ability to approach a subject objectively, separating her personal views of good and bad from what is and isn’t.